Are you aware of the term USPS Tracking? Well, we are sure you know about it. After all USPS tracking is one of the most useful and efficient add-on services that the United States Postal Service offers. Through this service, the USPS provides its millions of customers the facility to track their mail items and packages. The USPS Tracking gives a clear update on where the package of a particular customer is lying in the transit. Offering a feature like this is imperative in today’s modern world where the customers have become very smart and, they always want to remain updated. With USPS tracking, the customers can keep their eyes on every process of the transit. When the customer orders the packages using the different services and mail classes of USPS, then it is convenient for them to retrieve the current update of the order that the customer places with USPS. By now, you would have known that USPS tracking is an end-to-end process and you can do us postal tracking for your package and mails from the starting point of the transit to the end of the process. Before the customer places the order with the USPS, it is important for them to know some useful things. The customers should be aware of what they can do, and what services they get as they put their order with USPS. There are various ways of locating one’s package and getting to know the current update of our package. 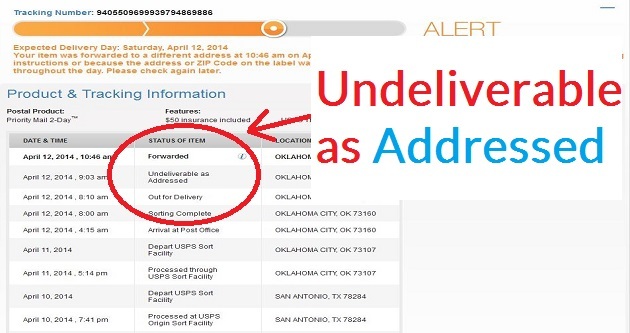 In this article, we will talk about everything related to USPS tracking info. We will discuss what is tracking and how does it work. Then we will move on to the different methods of tracking the USPS packages. The methods being online through USPS.com, viewing tracking info by RSS, over the phone, tracking the package by file transmission, registered post tracking, track package through emails, when the emails update stop, tracking with USPS mobile app, and by USPS text tracking. We will also cover how to use the keywords, how to request quiet time and a lot of other additional information on USPS text tracking. We will also take you through on adding advance tracking and confirmation, USPS tracking costs, and all the FAQ’s related to the USPS tracking. Before talking about every tracking method in detail, let us first concentrate on what tracking is and how does it work. 1 What is Tracking and How Does it Work? 2 How to Track USPS Package or Mail? 2.5.1 When will USPS Stop Sending Me E-mails? 5.1 Are the Items Mailed from Foreign Countries Trackable? What is Tracking and How Does it Work? We have already told you above, the national mail carrier USPS provides to its customers the facility of post office tracking. The tracking is an easy process that enables the customer to find the end-to-end status of their packages and mail items. 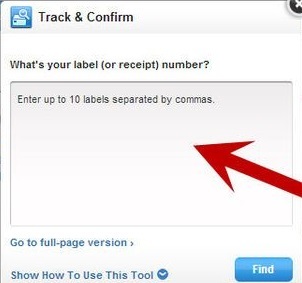 If you want to use tracking, it does not mean that you need to put any extra effort to get this information. USPS adds this facility automatically with your domestic mailing products. But, there are some classes where the USPS does not include this facility. For example, Commercial Standard Mail parcels are different than the domestic shipping products, and hence Commercial Standard Mail parcels do not offer the tracking facility. But, if the users of Commercial Standard Mail want to avail the USPS tracking, they need not worry. They can easily get this facility by paying an extra amount as fees. After paying the required fees, the users of Commercial Standard Mail can use the tracking service as it will work as an add-on service. But you must know that this facility does not offer the guarantee of the delivery. In case the customer adds any compatible service with the International products, then only he gets the confirmation like the signature of the recipient. This serves as the proof of post office tracking special delivery. This is the way to track one’s international packages by using the USPS international tracking service. Are you aware of the USPS tracking mechanism? It is good to know about it. If you already know, then it is fantastic. However, if you do not know about it, then you do not have to worry as it is a simple mechanism. The USPS has allowed the post offices or the employees of the post office to make any item trackable. The post office provides a tracking number to all the mail items they receive for delivery. That mailed item goes through scanning many times in the transit starting from the acceptance of the mail item at the time of its delivery. 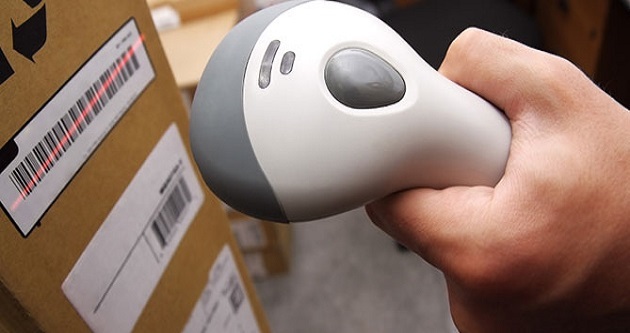 Every time the mail item goes through different hands, it is scanned. Recently, the USPS has upgraded its tracking mechanism which has led to the better tracking mechanism. Now the customers can get an even more precise location of their packages and mail items. Do you know that USPS scans your mail item more than 11 times throughout the transit process? Surprised? Yes, this is the reason how the customers can enjoy the feature of the door-to-door tracking. This is the first and the most convenient way to track your USPS package. You can track your package online by visiting the main site of the USPS. The United States Postal Service maintained its official site in the best possible way. 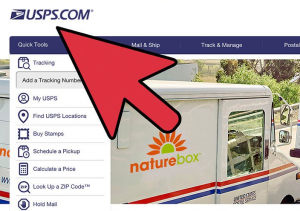 The USPS provides all the tracking updates of the packages for its customers on its main website which is usps.com. As we have discussed earlier, USPS tracking is not part of every shipment. For example, the media mail and the domestic first-class mail shipments do not include the USPS tracking feature. And hence you cannot do USPS first class tracking. But you can avail the tracking facility with these mail classes by paying an extra fee for mailing your shipments. Another essential thing to know is that USPS does not treat all their shipments equally. They may have different prices and different features. You can get the information about this in detail and find if your shipment is expensive. 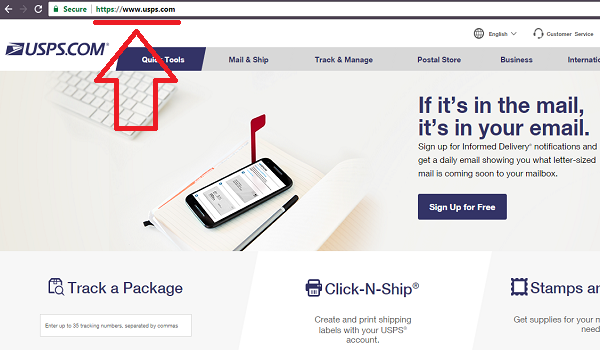 Step 1: The first step is to open the site of USPS.com. Go to the main site of United States Postal Service, which is usps.com for usps.com tracking. Step 2: The next step is to choose the USPS order tracking option. 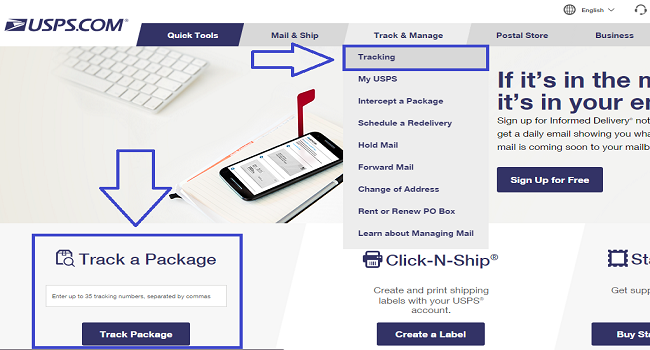 Now that you are logged on to the main site of USPS, you will see that there are three options to track your shipments. The first option is to enter your tracking number into the blank field that is provided on the homepage itself. The second option is to select the option “Track a Package” which is given under the category of the “Quick Tools.” The last and the third option is to choose the “Tracking” option which is given under the category of the “Track & Manage.” Hence, this way you can select a tracking option that you find the most comfortable. Step 3: Coming to the step number three, this is where you must enter your tracking number. To track your package, you should enter your tracking number into the given blank field. If you have multiple shipments, then you can enter all at the same time. But, you must remember that you can track up to 35 tracking numbers at one time. These tracking numbers can be separated by commas. Step 4: The next step is to hit the track button. Now, after entering the tracking number, all you need to do is to press the track button. Then, the page will display your tracking update on your screen. You must be right there in front of your computer or phone screen to track the update. USPS uses a progress bar to detail the information of the Product and Tracking. Step 1: The first step is to get the USPS tracking number. So, you must get the tracking number as you know who is going to transport your mail items. Step 2: The next step is to open the RSS Reader. You can go to your personalized homepage or simply open the RSS Reader. The next thing to do is to choose the function to subscribe to an RSS feed by URL. Step 4: The next step is to subscribe with the RSS Reader. Choose your RSS reader and subscribe to it. Step 5: This is the last and the final step of US postal service tracking through RSS. In this step, you need to copy the URL and paste it into the RSS Reader. This is how you can easily track your package. This is the number you can call on and speak to the customer service representatives who will help you to track your mail item. The customer service representatives will ask you your tracking number. Once you provide them the same, they will be able to give you the latest update of your mail item in return. Using the phone is a simple process. This method is best to follow if you do not want to follow any of the steps mentioned above with the suggested methods. But before you call on the number given above, you must also know about the hours of operation of the customer service representatives. This method is another way to track your USPS shipment. The file transmission will work for you if you want to track your shipment if you are a certified shipper. A Certified shipper means a customer who has used the certified mail class as the extra service while giving the order of shipment to USPS. File transmission is a data file which is transmitted between the United States Postal Service and the sender in an electronic way. You can do a Certified mail tracking using the file transmission. 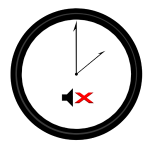 The customers get only that information which is available at the time he/she requests. The customers get the notifications on all mail item as the item passes through the mail stream. The customers get all the notification about every single update which is available at the time he/she requests and also the upcoming updates. The USPS customers can demand the email updates at the time he purchases online and also at any other time. To avail this service, the customers must have their tracking number which must be listed on the main site of the USPS which is USPS.com shipping account. Step 1: The first thing to do to track the packages is to go to the USPS main site. On the main site, you need to enter the tracking number into the given blank space. Step 3: Now after doing this, the next thing is to follow the easy prompts. These prompts will help you to set up the notification option as you prefer. That completes the process. After doing all this, you will get the email notifications which is related to the status of your package. When they stop receiving email notifications from USPS, this is the question many USPS customers ask. To those customers, the answer is that as soon as the customer gets his mail item at his place, the USPS will cease to send the email notifications of US mail tracking to him/her. In case the customer has asked for the email updates himself, then it will stop on its own within maximum two weeks. If the customer is not receiving the post office track package emails, then one reason could be that there are no new updates. The users can have their junk mail filter enabled by default or sometimes it might happen that the user has enabled it. You need to check this filter to make sure that it allows the email updates from USPS. The last option is that the USPS has your wrong email address. At times, in a hurry, the customers enter the wrong email ID in the form. If you feel so, you can visit the main tracking page of USPS and check if any additional event info is available or not. If the same is available, then you can submit the request for another email notification. 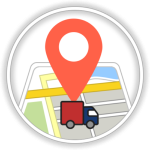 Another convenient method of USPS package tracking is to track with USPS Mobile App. The USPS offers a mobile application that works both for Android and iOS. 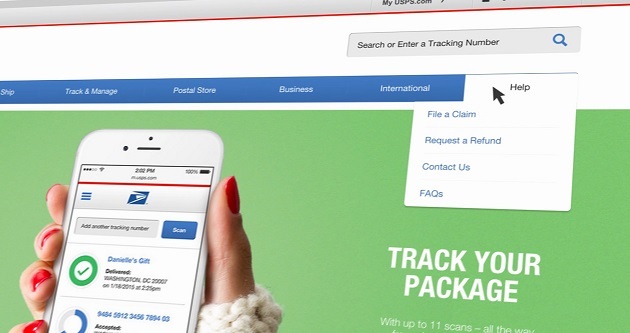 Using this mobile app, the USPS customers can do much more than just tracking. The customers can do functions like ship online, purchase the stamps, find the locations, compute postage, plan pickups, hold mail, change their address, etc. You can find this mobile app on Google Play Store and Apple App Store. To download this app, you can go to any of the given options as per your operating system. All the activities of past. Send a text with your tracking number to the number 28777 (2USPS). The number will reply you with the latest update or status of your shipment. Send a text with your tracking number and the keyword to the number 28777 (2USPS). The keyword that you use will inform the USPS which information you wish to have. The meaning of different keywords will be provided below. You would have seen that there are two ways of sending the text to USPS. Now, you must know what the difference between these two notification options is? If you send the text from your mobile number, then USPS will only provide you the latest status of your package, and if you want to know some more information about the same package, then you need to send a separate text message to be aware of that additional information. But, if you request the USPS website, then you will have different choices like you can choose the option to retrieve all the past or future scanned updates of the package. You can also get both past and future activities on the mail items. Also, you can choose the option where the USPS will notify you after the delivery or in the case of an attempted delivery. As we have mentioned about the keywords while briefing you how to do post office parcel tracking through text message, we must talk about how to use the keyword in detail. The USPS text tracking permits the users the use of the keyword along with the tracking number. The given keywords will show you the keywords which you can use in conjunction with your tracking number. To get this list of keyword definitions on your mobile, write “KEYWORD” and send to 28777 (2USPS). 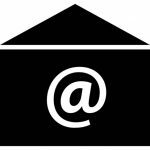 Stop: Stop getting the Text Tracking messages for this label. Few customers do not wish to receive the US post office tracking updates of their package during off-hours which is between the hours of 11 p.m and 7 a.m (CST). So, to not get the USPS tracking updates during off hours, you can write “Quiet” and send to 28777 (2USPS). In some time, you will receive a text message saying “USPS Text Tracking, Quiet Time Enabled.” Then the USPS will not send you an update on your mobile phone during off hours. Then, again the updates will start coming after 7 a.m. (CST). You can request this anytime. To stop receiving text notification, write “STOP,” “ARRET,” “UNSUBSCRIBE,” “CANCEL,” or “QUIT” and send to 28777 (2USPS). Then, you will not get any update for any tracking number. To stop notifications for any particular tracking number, write “STOP” with the tracking number and send to 28777 (2USPS). Then, you will not get the update for that particular tracking number. 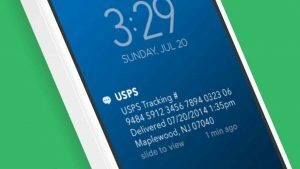 The USPS text tracking service will work only for the users of US-based mobile numbers. But, in 2015, the USPS had added USPS tracking Canada for the customers who use Canadian mobile numbers. The users do not require to register on USPS to get the text tracking. But, USPS will ask you to select this service as you try this service for the first time. For any other help or support, you can call the number: 1-800-222-1811. Also, you can send HELP, AIDE, or INFO. These were the different ways of the USPS tracking. You can choose your favorite method from the different methods given above. All these methods are convenient and user-friendly. After subscribing to any of these methods will enable you to start receiving the tracking information of your packages. USPS.com tracking method is most prevalent. Signature Confirmation: You may ask USPS for signature confirmation. By using USPS track and confirm, only the person whose name is written on the package will be able to get the package. If the letter carrier does not find that person at home to accept the delivery, then he/she will not give the package to anybody else and will take that package to the post office. Also, the recipient is needed to show his photo ID. The sender can also request a copy of signatory’s name. But he will have to pay $3 for this. Add Return Receipt: By asking for the return receipt, the sender will get the confirmation via email or mail. To get the confirmation via mail, you will need to pay $2.70, and if you want to get the confirmation via email, you will have to pay $1.35. By using this feature, you will get the signatory name and the pickup site address. Hold on to Receipt: Since the receipt has the tracking number using which you can track the package, but you don’t need to track these type of mail items as the USPS will inform you that the delivery is done. Visit USPS Main Site: Go to the main site of USPS and the rest of the process is just the same. Enter the tracking number and track your package. Delivery Confirmation: It is sent according to your request whether via mail or email. One question that many customers ask is that how much does USPS tracking cost? The surprising answer is that you do not need to pay anything for the postal tracking. USPS automatically facilitates this service with most of the products. But, USPS does not include this service with every product. For those products it is not available, you will have to bear an extra cost to enable the service. Are the Items Mailed from Foreign Countries Trackable? No, you cannot track the mail items which come from the foreign countries in the US. According to the USPS priority mail international tracking, these type of mail items are trackable in the foreign countries but not in the US. One can track express mail tracking like Global Express Guaranteed (GXG) and Priority Mail Express International (PMEI) items internationally. And these are the only two mail classes that one can track in the US and other countries. No, you cannot track first-class mail. The add-on services like tracking, signature confirmation, etc. are not possible for the first-class mail. The customers can contact USPS customer service if they do not get their first-class mail within five working days. You can also call on 1-800-ASK-USPS (1-800-275-8777) and file your complaint about the same. This was all about the USPS Tracking service. With the methods given in the article, you can track Certified Mail, Registered Mail, USPS priority mail tracking, and many more mail classes. Some add-on services are also possible if the customer wishes. Previous Article For How Long Does USPS Keep Record of Tracking & Delivery Confirmation?